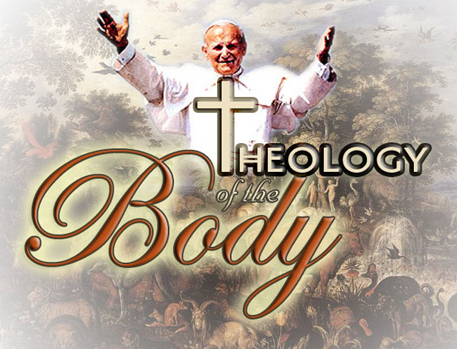 I have been reading about Blessed Pope John Paul II”s Theology of The Body (T.O.B) for quite some time but to be honest, I was never able to understand it beyond a certain level. I knew it went deep but I was only able to comprehend it in a limited way. Why? Because our beloved soon-to-be-a-Saint Pope was so holy and brilliant. His experience (Poland ~ wow), prayer life, education and understanding of our anthropology formed him into this holy man and allowed him to peer into this mystery and deliver it to us as a gift at the right time. And, wow did we need it! So, let’s say the depth of T.O.B is a 10. Before reading Emily’s book, I probably had reached maybe a 3, at best. Now, I might be a 6. This is quite an improvement considering my limited experience, my lackluster prayer life, my unrelated education and zero insight into anthropology. 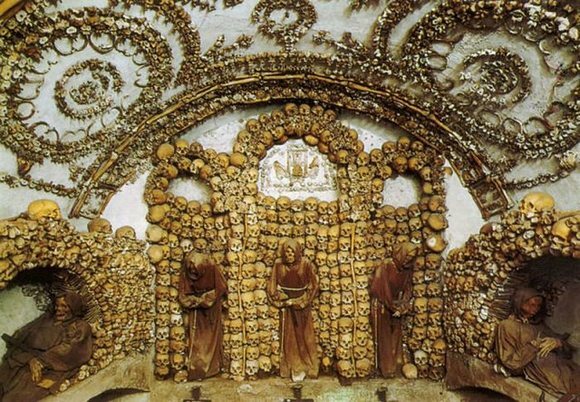 Emily opens the book with a description of the Capuchin Bone Church in Rome, Italy. I was not sure what this had to do with being beautiful but after I ‘got it’ I realized it was a superb analogy and fitting introduction. She then goes into the history of our culture of Modernism and how it has confused us into thinking that ‘only that which is measurable is real’ and that we (rather than God) are the center of the universe. She explains why Humanae Vitae was not well received at first but how 45 years later it can clearly be described as prophetic. 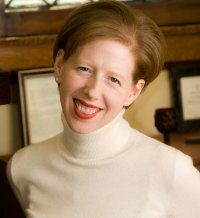 Emily shows us how a “Sacramental world view” is the answer to attaining this knowledge and to healing that which ails us. A Sacramental life imparts grace to us and makes visible to us the invisible. It is our grace-filled souls that make us beautiful and holy….even the most plain and imperfect ‘body’ which does not measure up to our crazy Modernistic world…..is made beautiful through this supernatural power (superabundance) available to all of us. The Sacraments of the Church are the most powerful vehicles for grace but we can also tap into grace in every moment. Emily shows us the way and explains exactly what a Sacramental world view is. I cannot do it justice without sharing the entirety of the book with you. Emily weaves her wisdom throughout the book describing how grace is available to us when we work, play, serve, host, eat and do laundry. Chapter 7 and 9 were my favorite chapters! Chapter 7 is about the gift of food. It is both convicting (are you a picky eater like me?) and balanced (gluttony, fasting, temperance, gratitude). I think she is trying to say that the way we eat is a reflection of how we make love and show love….. Do we rush? Are we mindful and attentive? Are we disordered in any way? Selfish? Okay, moving on to Chapter 9! I was reading Chapter 9 during Eucharistic Adoration and I found myself jotting down ten changes I need to make in my life in order to reduce the distractions in my life and increase my attentiveness and receptivity. I also knelt at the altar and thanked God for Emily. Oh so convicting in so many good ways! When the book arrived I sent Emily a note letting her know that the cover is absolutely gorgeous. You have to feel this book! Sure you can get the Kindle version but I recommend the soft cover version! You will marvel over its beauty, its softness, the chosen colors, the portrait and the embossed letters. Really, I am not exaggerating! You will also want to highlight the best parts within the book to reflect back upon later. Everyone knows how I feel about Emily. She is lovely in her every word and gesture. Her writings are brilliant and inspiring. I am constantly spotlighting her in my 7QTs. You can read more of her good stuff here and here and here. 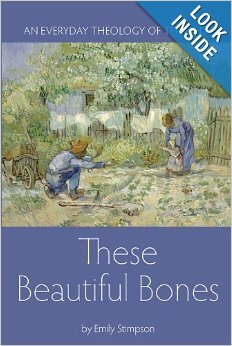 You can buy her book, These Beautiful Bones through Amazon as well as her other book, The Catholic Girl’s Survival Guide for the Single Years: The Nuts and Bolts of Staying Sane and Happy While Waiting for Mr. Right. And, you can become her facebook friend. Even I, a big nobody, am her friend! Have you read her book? If so, what was your favorite part? What impact did it have on you? God love and bless your beautiful bones! Thank you for visiting! If you have enjoyed my blog, please “like” my Facebook Page, The Veil and sign up to receive my blog posts automatically by clicking the rectangular “Follow” button. Please check me out and follow me on Twitter too! Thank you! I will definitely have to read this book, especially after your review! I listen to the More2Life podcast with Dr. Greg and Lisa Popcak and Emily is a regular guest on their show! Thank you, Jen! Let me know what you think!